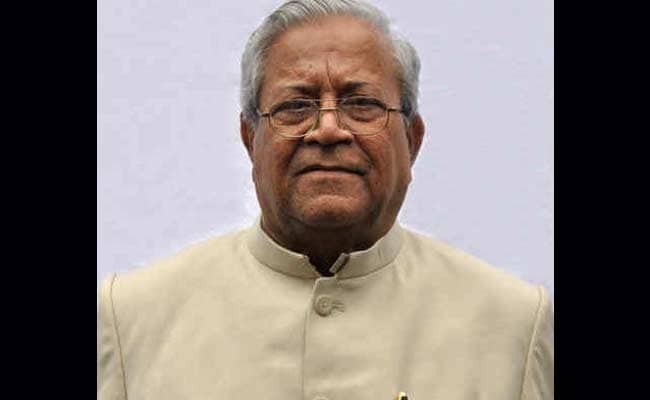 "Educational institutions and universities should not merely be centres of academic knowledge but they should impart skill development and also encourage youngsters to get into entrepreneurship," the governor said. Kohima: Nagaland Governor PB Acharya today expounded on the need for universities to be centres of skill development and entrepreneurship. "Educational institutions and universities should not merely be centres of academic knowledge but they should impart skill development and also encourage youngsters to get into entrepreneurship," the governor said. Nagaland and the North East region in general is endowed with natural resources, which are yet to be explored, he said while addressing a training programme on "skill development and entrepreneurship" organised by Career and Placement Cell, Department of English, Nagaland University at NEILIT Meriema here. Lamenting that unavailability of proper job avenues and lack of major industrial growth in the region has compelled the well educated youth to move beyond and work for the growth of other states, Acharya said the highly educated youths should be given the opportunity to come back and work for the uplift of their own states. In this, Acharya opined that universities should be focused on imparting skilled knowledge, which will help the younger generation convert the natural resources into wealth. "Conventional degrees increase knowledge but not employability skills, and therefore skill development should be imparted on priority in universities," he said. Pro-Vice Chancellor of Nagaland University, Prof R C Gupta, in his address, maintained that the huge reservoir of educated youths should be refined to fit the talent stock exchange through skill development and entrepreneurship opportunities. During the technical session, District Project Officer for Land Resources Department Kohima, Dr M Tseikha dwelled on the opportunities for economic enhancement through coffee and rubber plantation while Head of Department of Animal Production Management, SASRD NU Medziphema, Dr Catherine Rutsa spoke on livestock farming.